It's been a long time since I've updated Allie's blog. Things have been going relatively smoothly lately. At one of Allie's doctors appointments, a new doctor recommended Allie see a metabolic geneticist. So, I scheduled her an appointment at the Marshfield Clinic in Marshfield and we met a new geneticist about a month ago. 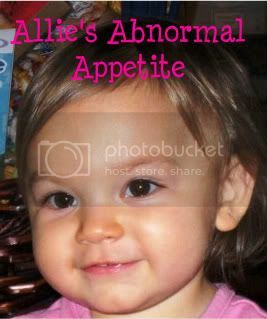 Come to find out, Allie had extensive metabolic genetic testing done in 2009 when we first met the geneticist at Children's Hospital of Wisconsin. Our new geneticist recommended that we get Allie's blood tested for signs of mitochondrial disease. 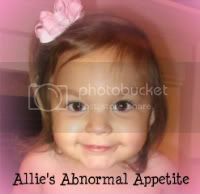 She said that with Allie's digestive issues and other issues, she could have some form of mito disease. Of course this has always been in the back of my mind but I know the actual testing for it is extensive and invasive. However, the geneticist said that we can start testing with blood work and if anything suspicious comes back, then we should proceed with the muscle biopsy. The blood work is thousands of dollars so it had to be approved by insurance, apparently it's been approved because I received a phone call this afternoon looking to schedule Allie for her blood work. I'm happy it got approved. The blood results can take up to 4 months to come back. This is a long process and I know the waiting is going to be stressful. I'm very nervous about the results. I'm happy that we are moving forward again with her medical issues, however this testing can determine a lot. As for Allie's oral eating, she was doing great for about 2 weeks and this past week, she stopped eating pretty much entirely. She is taking a couple bites but that's about it. She remains on her Ranitidine for her stomach acid and she's also on erithromycin for an appetite enhancer. Overall she's doing well and anxious for summer. Please keep Allie in your prayers as they do preliminary blood work for any signs of mitochondrial disease.